Alison was born in Westport on the west coast of the South Island of New Zealand. She grew up beside the Buller River and much of her subject matter is drawn from her life working on the rugged west coast land. Her creative practise continues to be firmly grounded in the history and culture of the coast, its land and its indigenous wildlife. Her subjects also capture the often subtle relationships between people and place: the courage and strength of the pioneer women, horses, cattle and the men that worked them, and more recently native fish and the fragile ecosystems they inhabit. Alison’s strong, vibrant style reflects the richness and diversity of the coast. Alison graduated from Otago School of Art in 1996, completing her BFA while helping to raise a family. 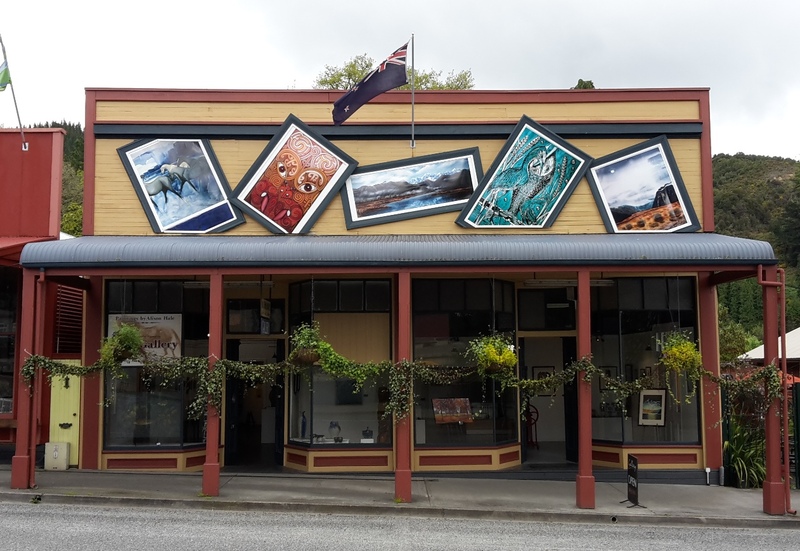 She works from an established studio located in the old courthouse building, one of Reefton’s prize historic buildings. Visitors are welcome. 2007 ” Out of the Rain” 33 West Coast Artists,COCA Gallery Christchurch.